Malta is regarded by many as the home of iGaming and for the fourth year running MiGS (Malta iGaming Seminar) is being organized by BMIT together with Greentube, Remax and Capstone. 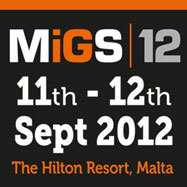 It will be held on the 11th and 12th of September at the Malta Hilton Resort in St. Julians. The organisers are keen to ensure that delegates benefit from a packed programme in a stunning location. The full event programme can be accessed here. Designed also to be a networking centric event, this year’s MiGS includes several interaction opportunites and fun activies, namely a cocktail reception, a poker tournament, as well as a pool party with free flowing champagne and open bar to close down the event. Among the gifts to be won are a snazzy new Huawei Ascend P1S smart phone from Intercomp and a weekend break at the Hilton Malta. Find out more about the event at www.maltaigamingseminar.com or Register Now before it is too late!